Jason H. Fehrnstrom, of Chestnut Hill, was named to second honors on the Clark University dean’s list for the fall 2016 semester. Jacob B. Kahn, of Chestnut Hill, was named to first honors. To be eligible for second honors, students must have a GPA of 3.5 or higher; first honors students must have a GPA of 3.8 or higher. Wesleyan University student Michael Weinstein, of Brookline, has made a two-year commitment to teach in a high-needs school through Teach for America. Weinstein, who is the captain for both the men’s rugby team and ski team, will teach middle school special education in Milwaukee, Wisconsin. This will be his first experience living in the Midwest. At Newton Country Day School of the Sacred Heart, Brookline residents Charlotte Bizup and Grace Bizup earned Gold Distinction for a first semester grade average of A or A-minus with no grade below B-plus. Silver Distinction for achieving a B-plus average with no grade below a B-minus was presented to Alexandra Childs and Maisie Elkins. The following students were named to the dean’s list at the University of Massachusetts Amherst for the fall 2016 semester: Ella Danae Duvall, of Brookline; and Yoel Joseph Abulaf, Erica Braman, Jody Joan Chow, Ruja Kambli, Sung Jun Kim, Yougi Lee, Neda Razi Morakabati, Michael Richard Moy, Ariel Roy Robinson, Daniel Dean Robinson, Sofie Lila Rosenberg, Alexander Isaac Russell, Samuel John Russell and Ben Tuval, all of Chestnut Hill. In order to qualify, an undergraduate student must receive a 3.5 GPA or better. The following Brookline student made the dean’s list at Rochester Institute of Technology for fall 2016 semester: Grigoriy Gressel, electrical engineering; Phuvit Kittisapkajon, computer engineering; and Jamie Lamoureux, game design and development. The following Brookline students made honor roll at Brimmer and May School for the second quarter: Amir Ali, Alex Bunis and Eleanor Reyelt, all earned honors; and Tal Breiman and Isabella Laine both earned high honors. To earn honors in the Middle School, a student must have at least an overall B average with no mark lower than a B-minus. To earn high honors, a student must have at least an A-minus average with no mark lower than a B-plus. 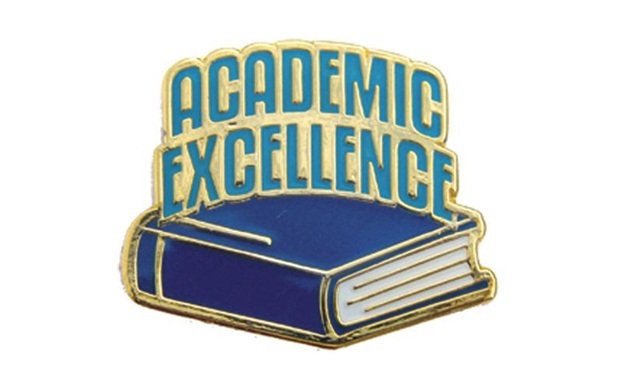 Lance Posternak and Gabrielle Duncan, both of Brookline, were named to the honor roll at TEC Connections Academy. These students maintained a high grade average in the previous semester and were honored during a virtual award ceremony.